September is the bridge between the Summer and Autumn seasons. While the nights start to get longer and the weather looks set to get somewhat cooler, this is a month that is packed full of events. Culture and tradition are served up in equal measures in September with events and festivals that are designed for both the eyes and the ears. So let's take a look at what this month brings! See the Lights, Camera, Action! Dim the lights and grab the popcorn because it's that time of year again. The Venice Film Festival is in its 73rd edition this year, running from 31st August to 10th September 2016. It's one of the most revered film festivals in the world, showcasing the best in international cinema and paying tribute to important figures in the industry. One of the real selling points of the festival is the selection of world premières which are presented in an international competition of feature films. Two of these feature Vicenza-born Amy Adams. The first is the new sci-fi thriller from Denis Villeneuve called Arrival which stars Adams as a linguist embroiled in the threat of a global war (the film also stars Jeremy Renner and Forest Whitaker). The second is Tom Ford's Nocturnal Animals, in which Adams stars in a twin plot concerning a manuscript that her character Susan receives from her ex-husband. Jake Gyllenhaal also stars. Other films in the international competition include the documentary, Spira Mirabilis, which tells four “stories of immortality” from four different worldwide locations. There is also El Ciudadano, which looks at Argentina through the eyes of an intellectual expat. Amat Escalante's La Region Salvaje (The Untamed) follows hot on the heels of the award-winning 2013 film Heli – his latest offering concerns love and disappearing illusions in a highland Mexican city. Another attraction of the festival is the chance to view some classic films and documentaries which have been lovingly restored to look as good as new. These include Noel Black's Pretty Poison, Luigi Comencini's Tutti A Casa, and Marco Ferreri's Break-Up: The Man With The Balloons. Look out for these along with other sections – such as Orizzonti, which is devoted to films that represent the latest trends in international cinema – at the forthcoming Venice Film Festival which promises to be another blockbuster! Every September, the medieval Lazio town of Viterbo comes together to honour its Holy Patron. The Macchina di Santa Rosa itself is a huge structure that is ferried through the streets by a group of local men. Measuring almost 30 metres in height, the structure marks the relocation of Saint Rosa's body from the Church of Santa Maria del Poggio to the Church of San Damiano. The route takes in a good number of locations along the way, including Piazza della Morte, Piazza del Plebiscito (including a visit to the Church of St Angelo in Spatha), the Square of the Shrine (where tribute is paid to those who lost their lives in the two world wars), Mazzini Street, Largo Facchini of Santa Rosa and Piazza S.Sisto, where the Bishop of Viterbo gives his blessing “in articulo mortis” to Facchini. The eruption of Mt Etna in 1669 brought down death and disaster. But out of this terrible event in the Misterbianco region, a miracle occurred. The sanctuary with the name of the Madonna escaped the wrath of the lava to continue standing. La Festa della Madonna degli Ammalati – or the Festival of the Madonna of the Sick – remembers this event. The commemoration happens around the first weekend of September (this year, the 3rd and 4th of the month), with the celebrations due to commence on the Thursday evening. A procession is held over the course of the weekend. Taken through the route are both an image of the Madonna and Jesus, and an original bell that was recovered during the original eruption. 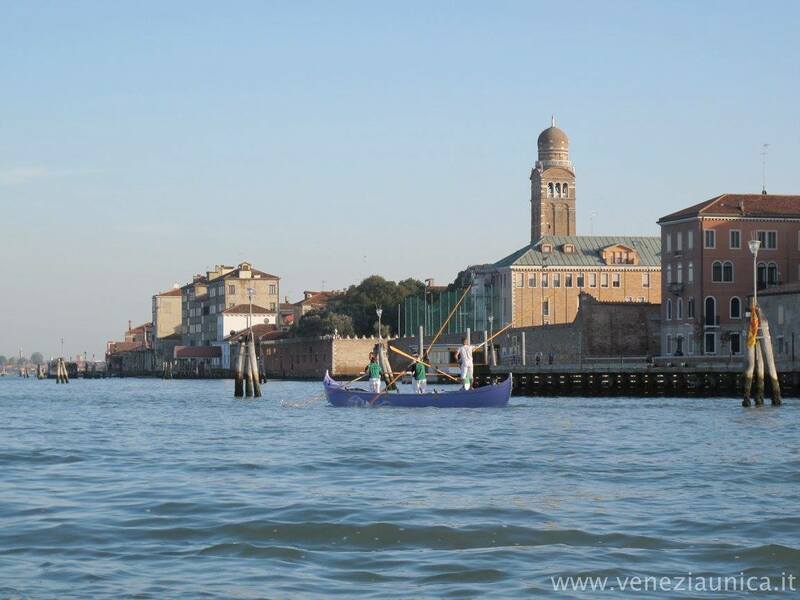 An annual tradition in Venice occurs every September on the first Sunday of the month. The Historical Regatta comes to the Grand Canal and is regarded as one of the centrepiece events in the region – it's an event that is steeped in tradition, stretching back to the year 1315 under the rule of Doge Giovanni Soranzo. One of the most memorable aspects of the Regatta is that of the parade, which acts as a sumptuous prelude to the racing. Comprising a selection of historical crafts with period costumes, boats and gondolas adding a splash of occasion and colour, the opening parade is a spectacle in itself. Following this come the races – these are divided up into various categories, such as a race for youngsters, a race for female competitors, a race between universities, and the race of champions. All of these add up to an exciting and spectacular event to kick off the month in fine, watery style. The brilliant thing about the festivals is that they both entertain and educate. One perfect example of the learning/fun fusion is that of Festiva Letteratura, which brings literature to Mantova in stylish depth. The festival is in its 20th year, and is packed full of readings, concerts, shows – and also special events for youngsters. For instance, Sualzo and Silvia Vecchini's Silent Book workshop for children between three and five years of age will be dedicated to books without words -children will have the chance to invent stories using imagery. Meanwhile, Mo Willems will bring much-loved characters Reginald and Tina to Mantua with the help of entertaining and funny tales! Adults will also be able to enjoy many special shows, events and performances of their own. This year's festival will encompass a broad spectrum of subjects including Shakespeare, Canadian literature, and Beethoven's Seventh Symphony. There is something here for everyone, and if you're looking to learn as well as enjoy, then this festival's unmissable. Tradition plays an important part in September's roster of events and festivals in Italy. The Festival of the Madonna a Mare is no exception. The Madonna of the Sea is traditionally held on the second Sunday of September in the village of Patti in Messina. This involves the procession of the statue of the Golden Madonna, which is taken to the sea. The statue is then placed on a wonderful, illuminated boat, which then heralds an equally impressive boat procession. Whether you're a fan of the sea or you wish to experience a unique, special celebration, the Festival of the Madonna a Mare does not disappoint. Extra celebrations complement the main event, including dances, music and food and drink treats to sample while enjoying this splendid sea-based occasion. As the Autumn beckons, the nights get darker earlier. But on the night of the 13th September, Lucca becomes an illuminated paradise. The illumination of the Holy Cross takes the procession throughout Lucca. The Holy Cross – or Il Volto Santo – is a display of a wooden sculpture of Christ, and is ferried through the medieval streets of the region from the Basilica of San Frediano to the Duomo. As the procession moves through the historic centre, countless candles light up the city. Placed in the doors and the windows of the buildings, the candles create a beautiful and unmissable vision of light – one that adds to the majesty of the occasion. If you're in the area, then this is definitely one to see and an experience that you will always remember. The day of 23rd September marks the passing of the famous friar, Padre Pio (AKA Pio of Pietrelcina). Padre Pio passed away on this day in 1968 – he is well known for a number of things – looking after the sick, and most notably for enduring what's known as the Stigmata in 1918. It is said that Padre Pio not only experienced pain in the same place as Jesus did at the time of the Crucifixion, but also bleeding. The smell of the blood emanating from Padre Pio was that of perfume or flowers (the same smell as the odour of sanctity told by saints in the stories of their lives). Because this event co-incided with the year in which the First World War ended, it was believed that the miracle signified signs of hope and good fortune in the future. Today, Padre Pio is marked in San Giovanni Rotondo with a series of religious ceremonies and an unforgettable torchlight procession. It's not just the 23rd of September that marks the event. Celebrations are put on for the days surrounding the anniversary of this landmark happening, and you can also visit many stalls that sell religious items and souvenirs. This year marks the 500th anniversary of the epic poem, Orlando Furioso, penned by the legendary poet Ludovico Ariosto. To celebrate the landmark anniversary, a special exhibition has been organised by Ferrara Arte Foundation and MiBACT Ministry of goods and cultural activities and tourism. It will run from the 24th September 2016 until early next year, so there is plenty of time to come and experience this unique event. Curated by Guido Beltramini and Adolfo Tura, this promises to be a splendid exhibition that visually brings to life the thoughts and images that went through Ariosto's mind when he worked on the poem to commemorate the Renaissance. The event will present some classic Renaissance works (such as books, sculptures and tapestries) as well as masterpieces from the likes of Michelangelo, Raphael and Titian to present the period at its very best. When it comes to honouring popular saints, late September sees many Italian locations remember San Michele – or St Michael the Archangel. The event of 29th September is one of the oldest of its kind. The faithful servant of God is regarded as the patron saint of the likes of the police, of paratroopers and of sickness. During times of trouble or crisis, people would pray to St Michael for protection, so it's little wonder that he is the patron saint of these sectors. Where to go to see the best commemoration? There are all kinds of celebrations, each of which mark St Michael with equal helpings of contemplation and celebration. A procession in Ischia takes the statue of St Michael through the area before the assembled crowds – with various forms of entertainment such as fireworks and music to add to the sense of occasion. Alghero also puts on a fun show, providing games and music for young and old. And of course, the Sanctuary of the Archangel Michael on Puglia's Gargano Promontory combines serious commemoration of the saint along with colourful and enjoyable splendour. 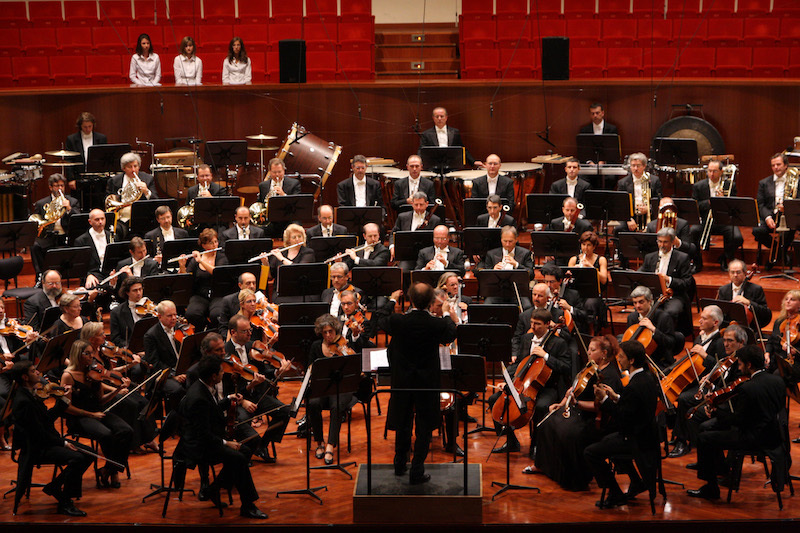 Various locations in Turin and Milan will strike a chord or two this September. Mito Settembre Musica is a key festival that puts on a varied and entertaining line-up of musical events. Many styles of music are catered for. Whether your taste is in classical, medieval, jazz, contemporary, baroque... - you will not be disappointed. Open air shows and night-time concerts are on the menu, as special, original programmes are prepared to make each musical experience unique and memorable. A notable highpoint of this event is that it caters for children as well as adults. Young ones can enjoy some of the musical events, such as a special one that is geared towards kids aged two to four years of age. Music is a special part of children's development, and events such as Mito Settembre Musica ensure that youngsters get a fresh and vivid introduction to all things musical.